There's been a lot of attention recently to "content farms," sites that provide lots of articles on a range of topics, but typically of low quality. "Google has said the change was aimed, among other things, at sites with what it calls 'low quality' content: just enough information to appear in search results and lure users to pages loaded with advertisements. It estimated that the new algorithms would affect about 12% of U.S.-based search queries and would expand to non-U.S. queries in the near future." Defining and defending "low quality content" has become a big issue. For one thing, how do you define low quality? Seems a bit like circular logic -- and I'm on Google's side. The other defining characteristic is the low pay received by writers of these articles -- typically $10 to $15 per article. That seems to have outraged the mainstream reporters the most -- when they try to get paid at a higher rates. I think Content Farms are disruptive in a bad way (as opposed to Clay Christensen's positive disruption). They make more noise that makes it difficult for users to get good info. The challenge is in defining low quality -- and the fact that sometimes, people just want basic info, and don't need long-form journalism. In "Switch: How to Change Things When Change Is Hard," by Chip Heath & Dan Heath, make the case that too many companies try to shore up weak spots rather when what they ought to do is find their bright spots and model that behavior for the rest. In his Feb. 26th column, "Ten Tips: Great Restructuring Winners," Forbes publisher, Rich Karlgaard picks up that theme: " Let's not spend time dissecting the losers. What are the Great Restructuring winners doing right?" Internal communication -- Karlgaard cites some organizations as doing a great job with internal communications. Our point is that communicating to employees is critical as companies gear up from the recession, and that too many organizations overlook internal comms because they're focused on customer communications. Zappos is an example of engaging your employees to deliver great customer service. External communication. Clearly this is a critical area, especially as companies look at how they integrate social media into their communications toolkit. Karlgaard cites IBM's chief marketing officer, Jon Iwata, who has implemented am IBM alumni network, which has more than 200,000 former employees as members. Brand. Karlgard's point is that "The best brands are not shallow. They touch a customer's every sense," and companies need to think about and improve how people interact with their brand. Purpose. I've been feeling that a sense of purpose is very important, and is something that gets overlooked. A sense of corporate purpose often gets overlooked, but it's important to engage your employees and your customers. There has never been a better time to be a company of integrity. You'll never achieve integrity unless everyone knows what you stand for--your purpose. This must be built on a moral foundation. God and the tweeters will strike down those who fake it. I totally agree with Karlgaard about a sense of purpose. Anyone else think that Apple was referencing an image from Michelangelo's hand of God from the Sistine Chapel? If painted today, would Adam have been wearing a turtleneck and jeans? Charlie Sheen Makes the Case for Strong PR Support. Inadvertently. think Sheen's rants support the case that publicists still play an important role in the lives of their clients, whether an actor or an organization. You may not notice a publicist's behind-the-scenes work when things are going well, but you certainly can see the impact when there's no guidance from a PR professional. A strong publicist is important to provide objective counsel on the types of program on which to appear and the tenor and nature of the comments one should consider making during those appearances. Clearly, that's not been happening here, leading to Sheen's publicist quitting, saying he was "unable to work effectively” with Sheen -- something of an understatement. Lest you think it's only an issue with Sheen, remember what Tom Cruise's appearances were like after he replaced his publicist with his sister. You can lose good will and reputation quickly. For nearly a decade, Sheen has been the lead actor in TV's top-rated comedy, but in a matter of a week, Sheen has gone from delivering punch lines to being the punch line. It can take a long time to repair your reputation. Just ask Mel Gibson and Tom Cruise. At this point, Cruise has taken steps to rebuild his reputation, but he had been the top box office star for years, but that changed after he performed his own stunts on Oprah's couch. Meanwhile, as for Gibson, last night Letterman ran a segment that inter cut lines from Gibson's taped phone calls with Sheen's off-the-wall recent interviews. You can never underestimate the public's interest in a celebrity meltdown. Sheen's story is ubiquitous; it takes more effort to avoid it than to read, see, hear, talk or tweet about it. You might not realize it but there's actually a lot of other news -- some of it actually important with significant implications for us as a country -- being crowded out by Sheen's meltdown. For example, the state of the Arab world and their push against dictators; just because Mubarak has stepped down doesn't mean story's over. But it's now harder to find news about Egypt. There's the possible budget showdown that, not surprisingly, has been postponed, along with the protests in Wisconsin. But Sheen, followed today by the news of the firing of Dior designer John Galliano, seem to fascinate people. You can't ask why do people care; they just do. You can't just wing it, you need a good story to tell, even if you've got a movie to plug. This lesson comes from an appearance last night of actress Amanda Seyfried on the Late Show with David Letterman. Letterman's never been a great interviewer but last night, Seyfried's appearance came off as flat and unfunny. The lines she kept expecting to pay off with laughs never hit. What's perhaps interesting is that she had previously appeared on the Late Show just a few weeks earlier, and had done a much better job. (In searching for Seyfried & Letterman, her prior appearance showed up first; the brief segment, below, was the comic highlight but doesn't do much for her image.). Last night, they didn't have much to talk about, not even her upcoming movie. The lesson this teaches is that you always need a plan and key messages for what you want to say. Even stars need to think ahead for their goal for any media appearance, and shaping that story is something a good publicist should do. 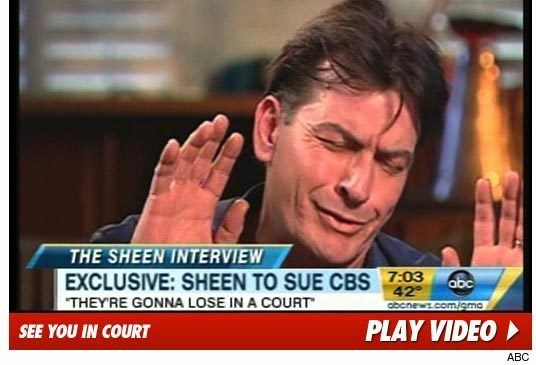 I know that entertainment PR is a specialized niche, but the lessons of Sheen's meltdown are relevant to other parts of the PR world. And it helps make the case for getting good PR support ahead of time. Cleaning up after a disaster is always more complicated slogging than addressing issues before they turn into a crisis. You might think that as Mayor of New York City, you might not need to think about thought leadership and expanding ways to communicate your thoughts to the public. After all, Mayor Michael Bloomberg has access to the media on a 24/7 basis. And not just local New York media -- if the New York Times and Wall St. Journal can be considered local media. New York is, of course, the media capital of the US. But that's not enough, apparently. As I wrote last month (Bloomberg to Publish Editorials -- Welcome to the Blogosphere, Mr. Mayor), Bloomberg is launching an opinion section called Bloomberg Views to air his ideas. Check out "After Business and Politics, Mayor Tests Opinion" in today's New York Times. For those who think thought leadership -- the concept of promoting your thoughts as blazing a path -- is not worthwhile or is just about ego, think again. Bloomberg, a billionaire who can afford to lose money, still feels that thought leadership is important to maintain his visibility, which in turns enhance the reputation of his media empire. My point: if Bloomberg feels he could benefit from thought leadership, so could a lot of companies.